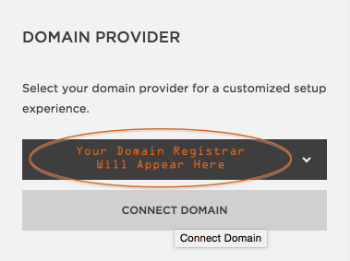 At this point, you’ll click [Connect Domain] and then follow the instructions for changing your DNS Server Settings. These steps require access to your Domain Registrar Account (e.g. Your GoDaddy Account). Following those instructions correctly is what will make your Domain Name (example.com) work properly with the Squarespace web site.